This rule has gone into effect in more than 36 states. 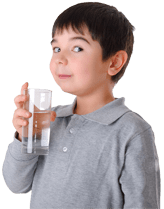 Even though this would mean saving good water for millions of Americans to drink, there are still opposing forces putting all of their efforts into stopping this rule. Farmers and ranchers see this new rule negatively affecting their ability to do their jobs. Some of these businesses pollute and destroy nearby wetlands and streams.